Start your business in Ukraine from “office in office” service, with the minimum expenses. 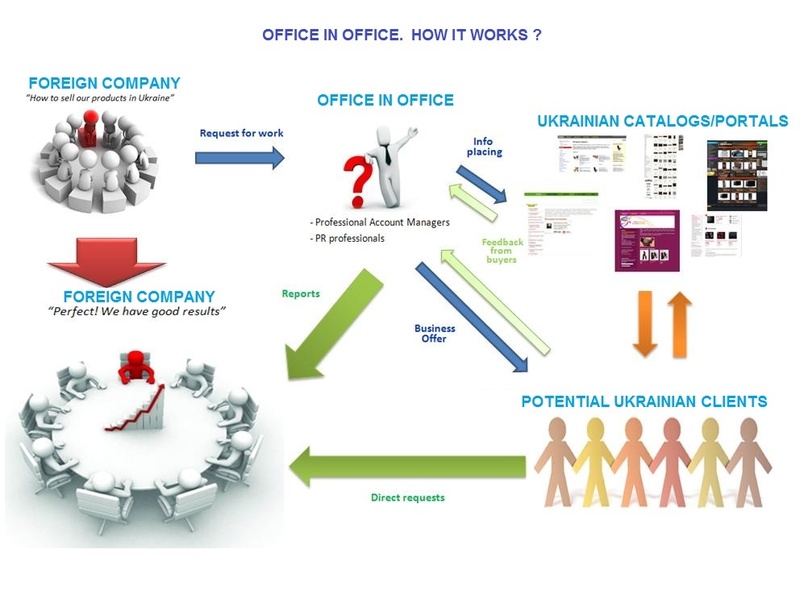 Office in Office – the subscription service for foreign companies in Ukraine Are you interested in new markets for your products and services? Are you interested in a long-term stable business relations with Ukrainian companies? Office in Office is the set of services that facilitates the development of business relations. Russian translation and adaptation of your offer for target Ukrainian customers. Allocation of information about your company and your services and products on the Ukrainian target portals and market portals. Mailing offers to potentially interesting companies on behalf of your company. Allocation of direct landline number, mobile number, e-mail, business address. Allocation of a fax number in Ukraine. Organization of negotiations with potential clients. Other services, depending on the wishes. All services are directed to receiving orders from potential customers. Requests from Ukrainian customers are transferred to the headquarters of foreign company every 2 days. The possibility to negotiate directly with potential Ukrainian customers. Monitoring of the market of services and products you offer in Ukraine. Savings. You do not have to open a subsidiary in a foreign country, you do not spend money on personnel training and salaries, you do not have to order expensive marketing researches of the Ukrainian market, etc. You can get it in individual service packages on your choice. Please, fill in next Application Form.